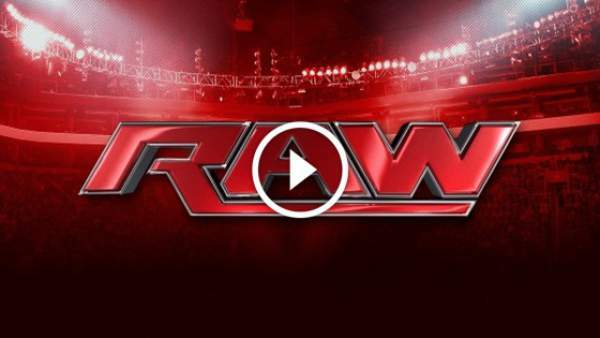 WWE Monday Night Raw 5/22/2017: Today’s episode results and live stream are here. Watch WWE Network online for free without any hassle on the page. It is also being broadcast on the USA Network. Read more to find what happened tonight. 11:05 – Finn Balor encountered Kurt Angle in his office to fix a match against one of the four men next week. Angle decided that it will be Finn Balor vs Samoa Joe vs Bray Wyatt in a triple threat match next Monday (5/24/17), including a match Seth Rollins vs Roman Reigns. 10:44 – Bray Wyatt and Samoa Joe vs Seth Rollins and Roman Reigns is ON. 10:36 – After the match, Alexa Bliss attacked Mickie James with a kendo stick. Bayley came in to defend Mickie and grabbed a kendo stick to attack Alexa, but Alexa retreated. :18 – Austin Aries defeated Tony Nese. 9:55 – Matt Hardy defeated Sheamus. After the match, Hardy decided that the championship match will be inside a steel cage at the Extreme Rules. 9:46 – Kalisto defeated Apollo Crews. 9:39 – Backstage, Alexa Bliss said she wanted to use a kendo stick once again on Bayley. And she added that Bayley will feel a lot more pain this time, compared to last week. She also said that she will do Mickie James tonight what she will do to Bayley at the Extreme Rules. 9:36 – A pre-taped video was played. Goldust said that he is holding on for another opportunity to shine. He added that the golden age has returned. 9:29 – Backstage! Kallisto asked Apollo Crews if he attacked Enzo Amore and why he is helping Titus O’Neil. Crews said that he was just trying to make connections and keep his options live. Titus O’Neil entered and offered Kallisto a place in the Titus brand, but Kallisto declined his offer. Titus left saying that he has made a big mistake. 9:25 – Sasha Banks defeated Alicia Fox. It was a brief match. Noam Dar watched the match at ringside. After the game, it led to an argument between Sasha Banks and Noam Dar, and Sasha slapped Noam. Then, Alicia Fox attacked Sasha Banks, and kissed Noam Dar. 9:12 – It’s now Finn Balor vs Karl Anderson. Balor won. 8:59 – Finn Balor comes inside the ring and announces that he is waiting to fight Karl Anderson in the fatal five-way at WWE Extreme Rules 2017. Paul Heyman interrupted and said he is here to scout for Brock Lesnar’s victims. One by one, he tells how Brock will destroy his competitors in the fatal five-way match. Heyman praised Finn Balor for being the most talented in-ring performer in the WWE today and wished him luck for the match. Then, Balor said that he will beat Lesnar and win back the championship. 8:56 – Backstage, Enzo Amore says that he got jumped but didn’t see who did it. 8:52 – Backstage, Big Cass is fighting Enzo Amore. On the floor, he yelled for help and asked who did it. 8:41 – Elias Samson defeated Dean Ambrose by disqualification when The Miz attacked Elias Samson. 8:38 – Elias Samson played his guitar in the ring and the crowd viciously booed him. Then, Dean Ambrose interrupted him. 8:37 – Backstage, Along with Alicia Fox, Noam Dar mocked Sasha Banks. 8:30 – Akira Tozawa defeated Ariya Daivari. 8:28 – Backstage, Kurt Angle said he wanted Roman Reigns and Seth Rollins to play as a team and fight Bray Wyatt and Samoa Joe and booked a match. After this segment, The Drifter was seen playing his guitar. 8:16 – Roman Reigns defeated Bray Wyatt by disqualification. Joe’s interference in the match leads to match’s DQ. Then, Seth Rollins came and attacked Samoa protecting Reigns. At the end, Roman and Seth were seen standing in the ring victorious. 8:00 – Bray Wyatt entered the ring and projected himself as the true savior to the audience and asked them to stand up. He said that he will slay the Beast, Brock Lesnar. Roman Reigns interrupted Wyatt and said that this is his yard and should restrict himself from getting there. Roman said that he will defeat all the four competitors at the Extreme Rules to become the number one contender. Kurt Angle interrupted and announced a match Bray Wyatt vs Roman Reigns right at that time. Stay tuned to TheReporterTimes for latest WWE news and updates around the world.